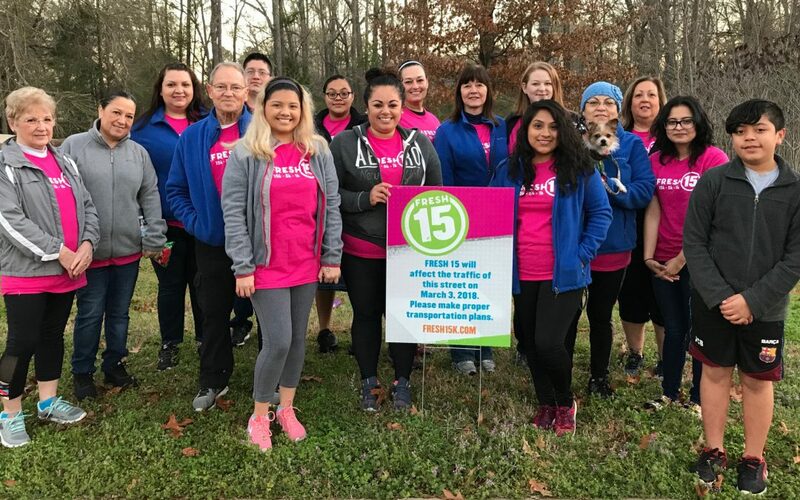 The 2018 FRESH15 race was held on Saturday, March 3rd. Proceeds from the race will go to several non-profit charities in East Texas, including Bethesda. We appreciate Brookshire Grocery Company, and our volunteer participation proved it! Many Bethesda staff members and some of their family members volunteered for FRESH15. They came out at 6AM to hand out water at stations along the race route. Bethesda Alliance members stuffed the 5,000 swag bags given to participants at the FRESH15 race.